I would guess this piece is at least five years old, maybe more. It has endured a lot of screeching halts and many, many washings, lol! Can I order 2 fleece squares for Kodiak. I will need them to take to the lake as he will not sleep on anything but them. Last night there was a lightening storm and the only thing that worked was taking his fleece to the bedroom and let him sleep on them there. Hope all is well. 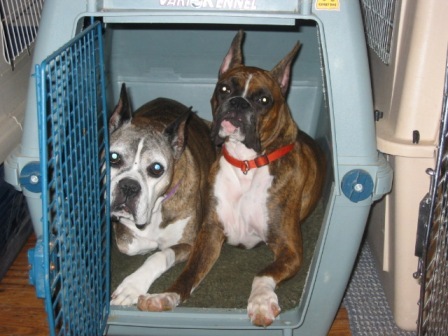 I did lots of research online when I knew I wanted to find the best bedding product available for my whelping box. ProFleece was it. 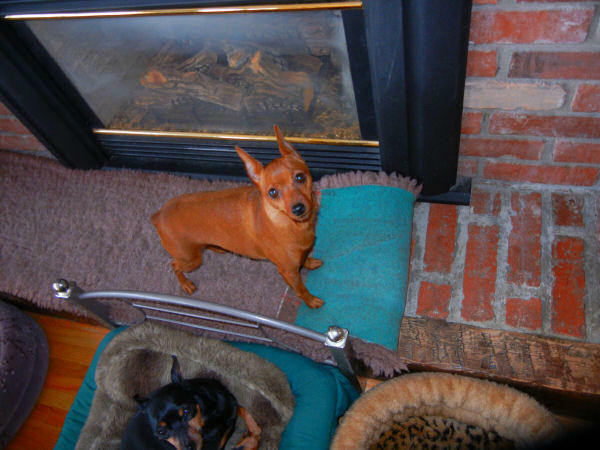 Tybrushe Pet Supply Ltd. – located in Canada - is the Exclusive ProFleece Distributor for North America. I initially bought a half roll from Sheila and Darren and cut pieces for myself and friends. I have washed mine many times and it not only holds together beautifully, the pile stays thick and luxurious. Update I bought three more rolls in December and am sharing it with my golden club, friends, neighbors and family here in Texas. It makes great gifts as well. There are also many colors to choose from. This is the highest quality fleece available on the market to date. I know. I have samples of the others. I can’t wait to use it again for my next litter! Hi, I saw your pro-fleece at the Calgary Cat Show and was most impressed. 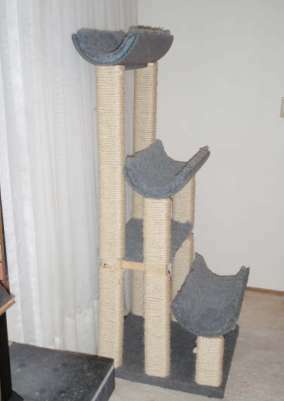 I bought a large 48 x 60 piece of pro-fleece from your website to use for covering the perches on the cat tree I was building. Well, the tree is just about finished now and I must say that I am very pleased with the pro-fleece. It was very easy to work with and since it's so soft and thick I know my kittens will love it. At some point, I'm sure that we will be purchasing some more of the pro-fleece from you. It's really good stuff. 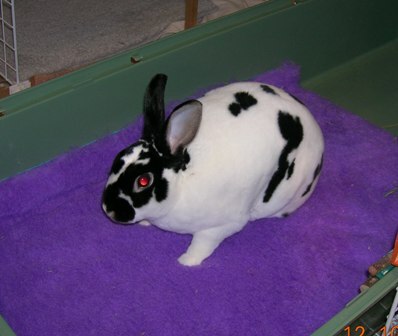 Hi Sheila - I've finally been able to send you pictures of my bunny using the mat. My other bunny T-Rex just Loved them too! 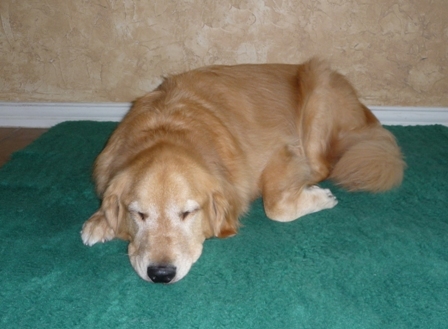 Here is Buddy's eating and resting area and a couple of shots of him on the mats. Happy holidays. P.S. Hey I washed the Pro-Fleece tonight & put clean Pro-Fleece in their crates & they all (Spock, Stella & GiGi) got up & ran to their crates ...snuggled up & went to sleep...they all LOVE this stuff! 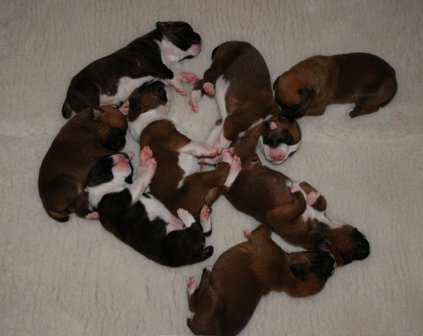 I Purchased the Profleece for my most recent boxer litter. She had 10 puppies and I never changed it the whole time she was delivering. At the end the pad was still dry enough for me to sit on with her and help with the puppies.! I LOVE this product. The puppies are warm and dry. and I find they have lots of traction to move around. Thanks for supplying such a great product! 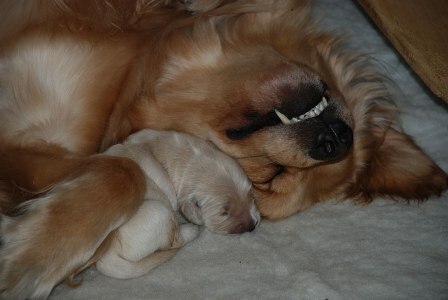 Here is picture of mom and the pups shortly after delivery. I thought you might like to see photos of the babies on their Pro-Fleece & my thoughts, for your testimonial page. It's a wonderful product, so soft, and great footing for the babies. 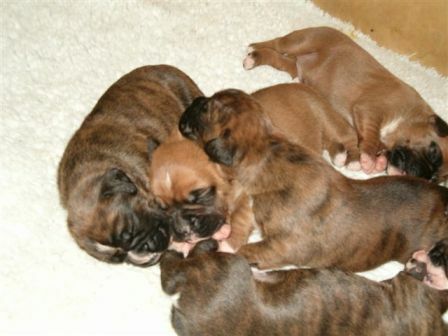 At only a few days of age they have been doing laps around the whelping box in record times!! As you can see, Joplin loves it just as much (if not more) then her babies. I ordered two of the 48 X 60 Whelping box pads, so that I would have one to wash and one to use. So far each one has been washed about 10 times, and they still look and feel as new as the day they arrived!!! I would like to thank Tybrushe Pet Supply for answering all of my questions, and making suggestions based on what I wanted to use Pro-Fleece for. The prices were great, and shipping was wonderful! I thought I would write & share my experiences with you that I have had with the Vet bed & the Profleece. Hopefully my personal experiences might be useful to some other buyers. 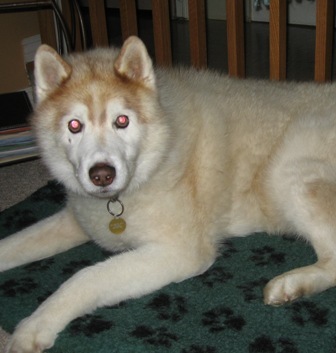 When I first purchased the Vetbed I really liked it, it washed well, was soft & it appeared the dogs liked it too. Then after a few days one of Boxers totally destroyed the piece she had in her crate while I was at work. She tore it into strips & punctured it with holes. She had not been crated any longer than usual but she can be destructive at times when she decides she wants out. I had bought the Vetbed as I had heard it was chew resistant but unfortunately not enough for this girl. So, overall I would highly recommend the Profleece over the Vetbed due to it's improved chew resistance. I still think the Vetbed is good & but would warn any customers to only use it on dogs that do not chew at all! But for the value why not promote the Profleece...it is so much more plush & why take a chance on discovering your dog might chew it's bedding & worry about the dangers of swallowing bedding! Thanks again ..I have been recommending Profleece to my friends & will be buying more! I am sooooooooo happy that Profleece is once again available for the US and Canada after such a long time! I have 3 Profleece mats from 20 years ago, still in use. Nothing… and I mean NOTHING lasts as long. I’ve had dozens of dog beds and mats come and go. Most of them disappoint after the first washing, or get torn up by the newest litter. But Profleece not only stands up to constant washing and doggie antics, it stays thicker and more plush, for a comfy place to sleep. And that is what it’s all about. I have used ProFleece for years. In the whelping box or in crates, on floors and even outside. It has a common use all over our house. Here is my last litter on the Profleece. We picked it up this morning. You are right, it sure is thick. It would make fantastic crate pads. Daisy likes the ProFleece. The puppies look nice and comfy. It is harder for her to bunch in a ball which is great. Here is a picture with the puppies on it.